A group of U.S. tactical reconnaissance aircraft of the U.S. Forces Korea returned to their home base in Pyeongtaek, Gyeonggi Province on Thursday after spending an unusually long 40 days in Japan. The U-2 spy planes often fly to Japan when they train with the U.S. Forces Japan, but this time they spent more than 40 days there even though they did not participate in any drills. "Four U-2s returned to Osan Air Base today after being temporarily deployed at Kadena Air Base in Okinawa since Jan. 23," a government official here said Thursday. "They collected intelligence about North Korea from there while participating in the U.S. military's intelligence activities across East Asia." Their main job, however, is monitoring and taking pictures of various targets in the North from an altitude of 15,000 m.
A military spokesman here said they collected intelligence about the North from Kadena. 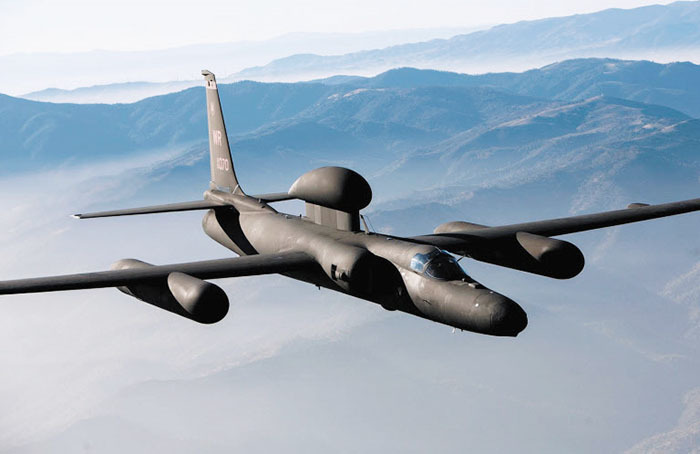 But the U-2 is capable of conducting optical surveillance only within a radius of about 100 km, which means that it is impossible to spy on the North from Japan. Japanese media speculated about a link between their deployment in Japan and the scrapping of large-scale South Korea-U.S. military drills. Some speculated that the U.S. military could reduce the amount of intelligence it will share with South Korea. "It's unusual that the USFK's main spy aircraft were away from the Korean Peninsula for several months," a researcher of a government-funded think tank here said. "This is a very worrisome sign at a time when joint military drills have been scrapped and speculation is rife about the Seoul-Washington alliance."